If you can master the art of building high-quality links, it can truly put you ahead of both other SEOs and your competition. And it really is an art. Or, at least, it seems like it is if done well. Probably the biggest trap any company can fall into when formulating digital PR tactics is to make it all about them. But this isn’t simply a press release about your latest hire, investment or new business win. You’re looking to add value to websites that may not expect to hear from you; where customers might not expect to see you – securing a link back that has real value. So, aside from tried and tested PR activity via press releases, features and thought leadership (which still works by the way), how else can you secure those all important links? 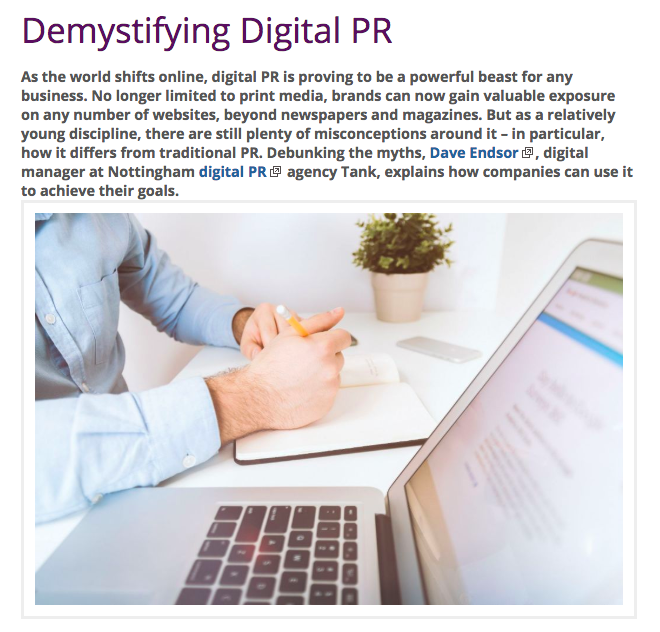 When contemplating how to start with digital PR, you need to outline your industry – but broader than you might think. 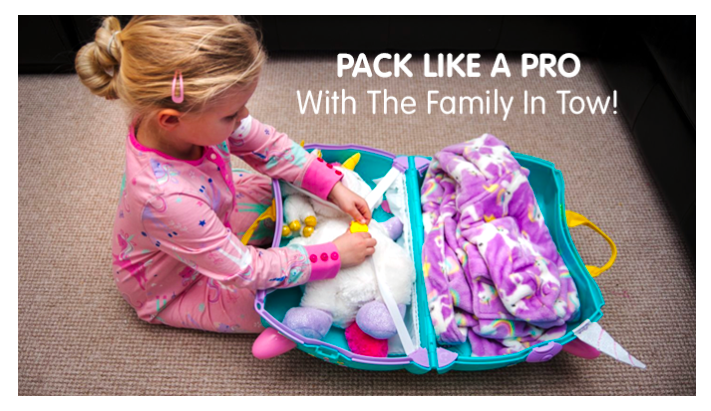 From a link building point of view, a company that sells villa holidays is in the same industry as a famous brand of children’s suitcases – travel. In the same way ‘motoring’, connects an insurance brand and a national car dealership. Once you realise this, the opportunities available become clearer. You can approach other brands in your sector, offering your advice on a one-off or regular basis. It gives you a link and them great legacy content for their website visitors, email marketing campaigns and social media. Of course, you may need to try a number of them before you get a yes, but that’s no different to PR. So don’t give up after five no’s. However, if your proposition is clear, concise and intriguing, then you’ll get a yes sooner than you might think. Oh, and in the name of all that isn’t holy, use the phone! Good websites build pages filled with relevant, Google and human-friendly content. Great ones do this and more. They develop assets that are useful, reliable and link-worthy. The best kind of assets offer the user relevant and actionable advice, often leading them to an enquiry form or point of sale. Use these when approaching brands and businesses that have written about the topic in question. 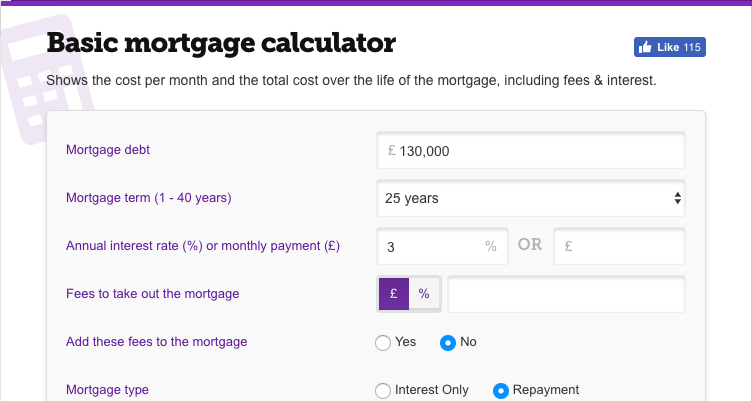 Pitch your asset – be it the copy itself, a widget, or infographic – as something they need to reference on their own website. It will increase their credibility by featuring your content and provide you with one more backlink for your cause. Your competitors come into play here too. Research their own backlinks – Ahrefs will do – find out where they’ve been linked to and work out how you can ‘one-up’/’skyscrape’ their old content. Business advice articles, across any site, are still widely sought after. Pitch your expertise to a website that’s not yet featured someone in your industry – make it you. Think one-step removed from the typical business news/media sites you read each day. Are you member of the local chamber of commerce? Recently received funding from an LEP? Or simply attend a monthly networking or business breakfast? As long as you can provide a business case as to why a website might need your type of services, without selling directly in such an article, you stand a strong chance of your digital PR request getting a yes. Any and all of these are valid. One key advantage of digital PR over it’s ‘traditional’ cousin is that the link in question doesn’t need to have PR value. It can exist on something that is one or two steps removed from your typical target audience. The priority is always the link back (disclaimer: PR value AND a link back are of course the perfect combination). Universities (other education establishments also count) offer you a great way of securing a valuable backlink, while also using your knowledge to inform future generations about your industry. Whether it’s starting a career in PR or working in planning, these articles offer insight for graduates looking to work in these sectors, from people who already do! By their very nature, universities benefit from their own excellent backlink profiles, for a whole host of reasons; they link back to each other, they carry out valuable research which is widely referenced, newspapers public league tables, UCAS publish their courses, and so on, and so on. This all adds up to a Moz domain authority of 60+ for most university websites – hugely valuable to you when you get that link! The added bonus to this academic content is the potential it has for future recruitment as well as the re-share value across social media. Plus, the university will very likely use your comments on its own social channels or in other marketing collateral, thereby still generating PR value in a different form. In my experience, a number of SEOs still see link building in the same way they did five, even 10 years ago. Email blasts to hundreds of sites in the hope of one or two back or, failing that, some quite frankly low-rent tactics that we should all steer clear from. PR is teaching them valuable lessons in what means to pitch, the same you would if revealing an exclusive story to a journalist – with clarity and conviction. The value of digital PR is without question. Struggling? Let me know > here. 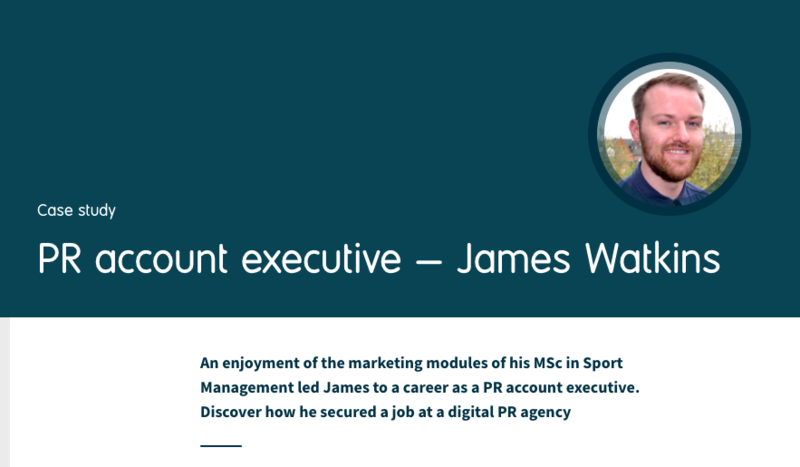 About me: Digital PR specialist for Nottingham-based PR agency, Tank. I use a PR-inspired methodology to link building that develops long-standing business relationships, where my work has helped multiple clients, generating significant return on investment and securing those ‘high DA’ links so craved for by the digital world. Dad to Zach, digital marketeer at Tank PR, Derby County fan, film buff, book worm and husband. In that order, but don't tell the wife.